The Ski & Snowboard Show has been running for 40 years but will hit Manchester's EventCity for the first time later this month. With attractions ranging from free ice skating to curling, apres-ski to alpine food, there is bound to be something for everyone to get excited about. The show will take place at Manchester's EventCity (next to the Trafford Centre) from Friday 25th - Sunday 27th October. Ticket Prices are £12 Adults, £8 Concessions, £4 11-16 year olds with Under 11s Free and £25 Family Tickets. 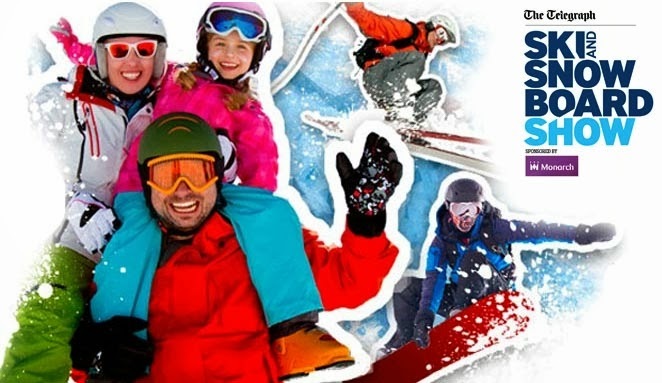 The show is operating in partnership with the nearby Chill Factor and visitors to the show will receive a free lift pass so they can try out the slopes for themselves. Please visit the Ski and Snowboard Show Manchester to book your tickets, or for more information. The show have supplied me with five pairs of tickets for the first day of the show, Friday 25th October, to enter please complete the Rafflecopter widget below and make sure you read the terms and conditions.